Marken Homes is a well established Niagara home builder since 2000, and is a member in good standing of the Niagara Home Builder's Association. Since our inception, we have built over 200 homes for many satisfied customers. The principles are David Kendall, with over 40 years of construction experience, and Fausta Marandola with over 15 years involved in home building. We are a registered Tarion Home Builder with an excellent rating. We walk step by step with our customers from design to completion of their home. The home building experience is simply, meeting our clients' needs, budget and lifestyle. We believe in "hands-on" approach, from design to "after sales service". This approach allows each home to be built to the highest standard. Our friendly and knowledgeable service personnel and tradesmen ensure maximum customer satisfaction. These people have been with us for several years ensuring quality and workmanship. Marken Homes specializes in custom new home construction in Niagara, residential renovations and building within local communities.  We offer our clients many choices at every step of the design and building process, including custom home designs, colour, finish and fixture options and selections. Our Niagara home renovation team works closely with homeowners to envision, design and construct custom renovations that are integrated into existing homes with minimal disruption. Marken Homes has been a Tarion registered home builder in the Niagara Region for over 10 years. The principal owners have over 30 years of residential, commercial and light industrial construction experience in Niagara. We are experts in the design/build field, helping our clients to design custom house plans, find suitable building lots in Niagara, and see each project through to turnkey completion. We are firm supporters of local subcontractors, and all of our trades are sourced locally in the Niagara Region. Marken Homes builds new homes all over Southern Ontario, including the following communities in and around the Niagara Region:Beamsville, Dunnville, Fenwick, Fonthill, Fort Erie, Grimsby, Hamilton, Jordan, Lincoln, Niagara-on-the-Lake, Niagara Falls, Pelham, Port Colborne, Queenston, Ridgeway, St. Catharines, St. Davids, Stoney Creek, Thorold, Virgil, Wainfleet, Welland, West Lincoln. We have lots available to build on, or we can build on a homeowner's existing lot, including infill lots, demolition and reconstruction or greenfield lots.